Oscillococcinum® has been shown in clinical trials to reduce the severity and shorten the duration of flu symptoms. Make sure patients have Oscillococcinum on hand because it works best when taken early. 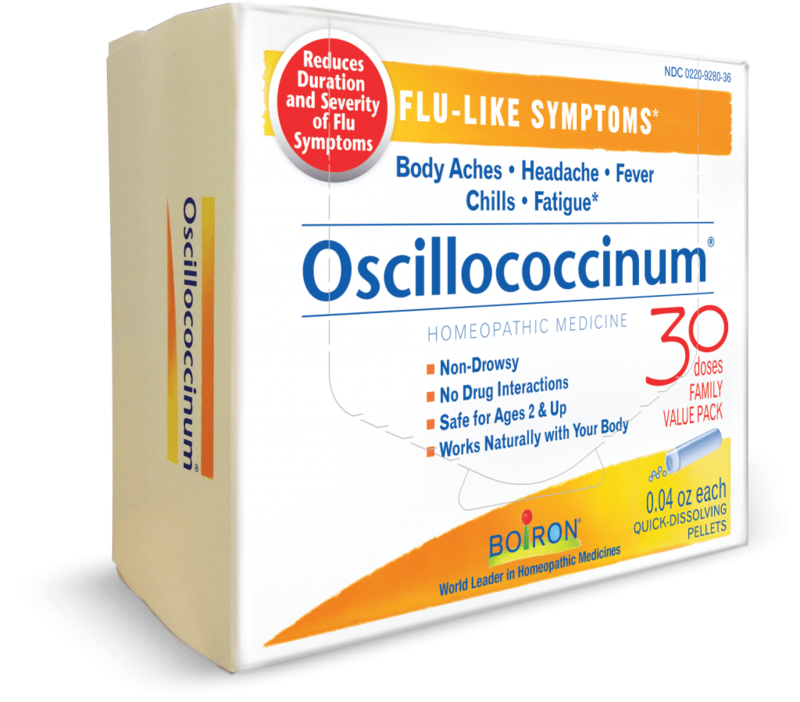 Recommend Oscillococcinum at the first signs of flu. Help patients feel better before they feel worse. For more information and for free samples, call 1-888-BOIRON-8 or click here to submit an online request. †Versus 48% in the placebo group, P=0.003; ‡P=0.03. 1. Papp, R., G. Schuback, E. Beck, et. al. “Oscillococcinum® in Patients with Influenza-Like Syndromes: A Placebo-Controlled Double-Blind Evaluation.” British Homoeopathic Journal 87, no. 2 (1998): 69-76. doi:10.1038/sj.bhj.5800208. 2. Ferley, J.P., D. Zmirou, D. Dadhemar, and F. Balducci. “A Controlled Evaluation of a Homoeopathic Preparation in the Treatment of Influenza-Like Syndromes.” British Journal of Clinical Pharmacology 27, no. 3 (1989): 329-35. doi:10.1111/j.1365-2125.1989.tb05373.x. 3. U.S. Food and Drug Administration. Sec. 400.400 Conditions Under Which Homeopathic Drugs May be Marketed (CPG 7132.15). Available at: www.fda.gov/ora/compliance_ref/cpg/cpgdrg/cpg400-400.html.